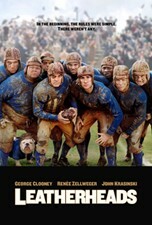 George Clooney directed and stars in this offbeat comedy set during the early days of professional football. In the mid 1920s, an aging pro player (Clooney) recruits a college star and war hero (John Krasinski) in an effort to generate publicity for the sport. But the teammates soon find themselves competing for the affections of a tough reporter (Renee Zellweger) who's out to uncover the truth about Krasinsk i's service in World War I. Jonathan Pryce co-stars. 114 min. Standard; Soundtracks: English Dolby Digital 5.1, French Dolby Digital 5.1, Spanish Dolby Digital 5.1; Subtitles: English (SDH), French, Spanish; audio commentary by Clooney, others; "making of" documentary; featurettes; deleted scenes.